Asian shipping line One is to add a surcharge to all export cargoes shipping via Shanghai, Ningbo and Nanjing from next month. 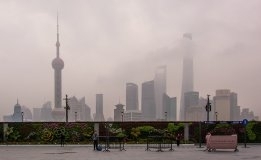 The reason for the move is to conform with the Yangtze Delta Emissions Control Area where ships must use bunker fuel capped at 0.5% sulfur content from the same date. According to the company's website, the surcharge will be $15 per twenty foot equivalent container and will be applied to cargo shipping to all destinations. The additional charge has been calculated by a "logical and equitable calculation mechanism" with future adjustments to be made in the same way. A number of box line operators are to instigate bunker surcharges once the global 0.5% sulfur cap comes into force in a year's time. The move, which essentially passes the increase in the cost of fuel on to the customer, garners a predicitably angry response from shippers who buy space on ships to shift cargo.